Cursive writing template is the model you can try when you are making any documents that has italic style of the fonts whenever you are typing any words. With obituary writing template accessible in sample format, you can have the unique way of typing any paragraphs with a refined and medieval in appearance while maintaining the thought of your work. 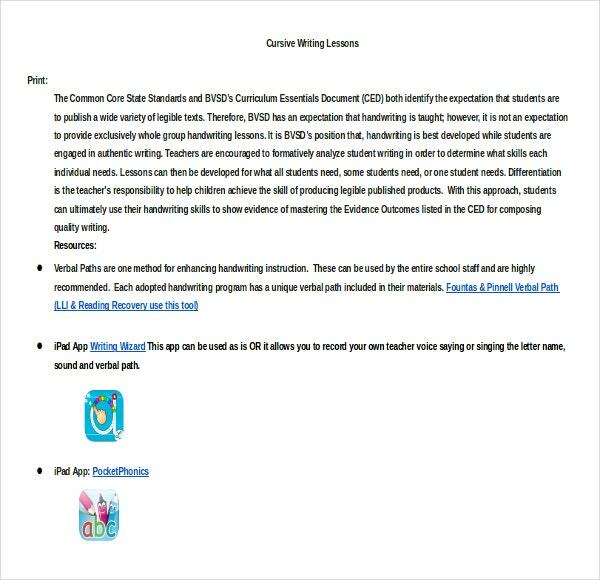 You can also see Book Writing Templates. You can adjust any font effects, size and color with this template that is suitable for any fonts designing and calligraphy. It will give whatever you need to make your cursive typing comprehendible even if it’s elongated or looped. 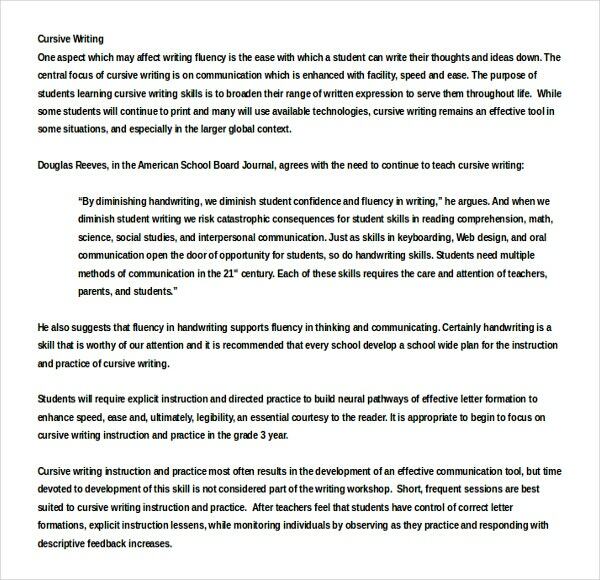 You can also see Writing Templates. 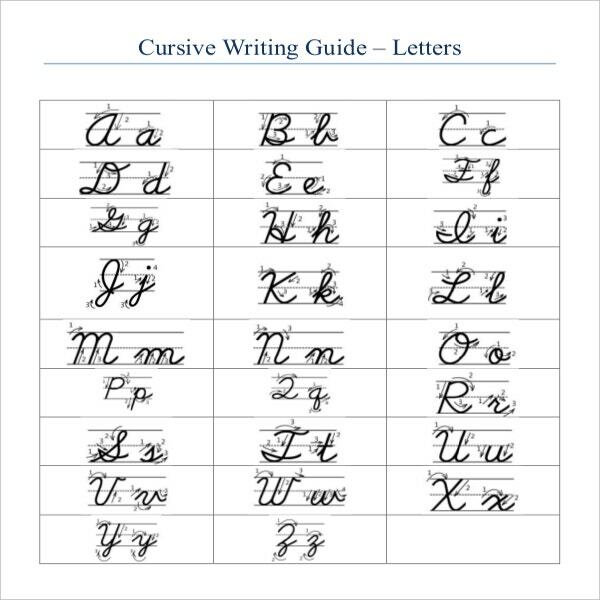 In simple language cursive writing is a handwriting style. Its other names are looped handwriting, joined writing, longhand script writing and so on. The letters are written in a combined or joined manner with Italic fonts. 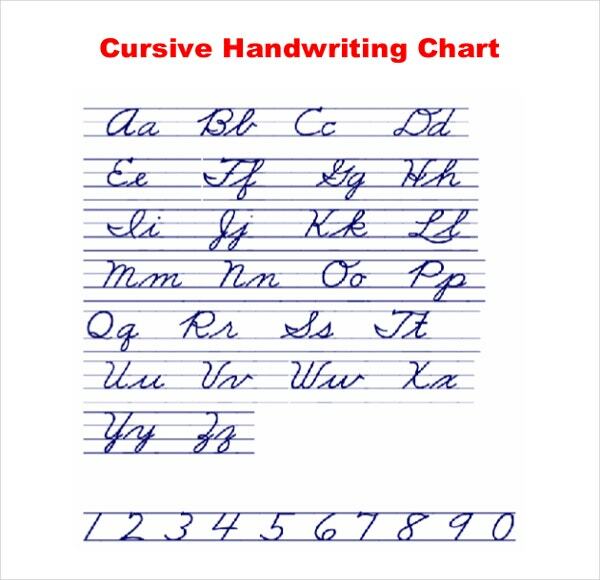 People may say that the importance of cursive writing has declined but it is still taught in the schools and as such is very popular amongst the kids. It is a unique pattern of writing words or sentences which enhances the beauty of the document. Moreover, it helps a great deal in making the hand writing quicker as you do not have to lift your pen after writing each and every Letter Writing Templates. Formal- In a formal cursive, you are generally not required to lift up your pen while writing the words or sentences. It is written in a flowing manner. Casual- While attempting the casual, the writer gets the freedom of writing either in a joined manner or by raising the pen. Italic- This type of writing usually encourages the writers not to make use of the joins while composing the words.However, do not get confused with the Italic Free Fonts present in MS word. Looped- The letters ascending and descending have loops which helps in joining. 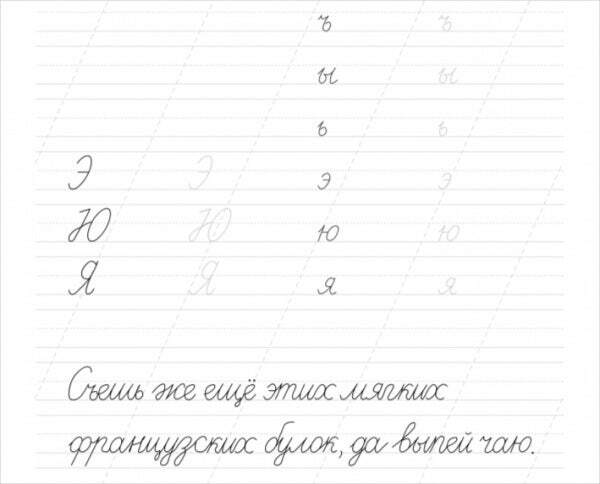 > Why is Cursive Writing Template Designed Today? 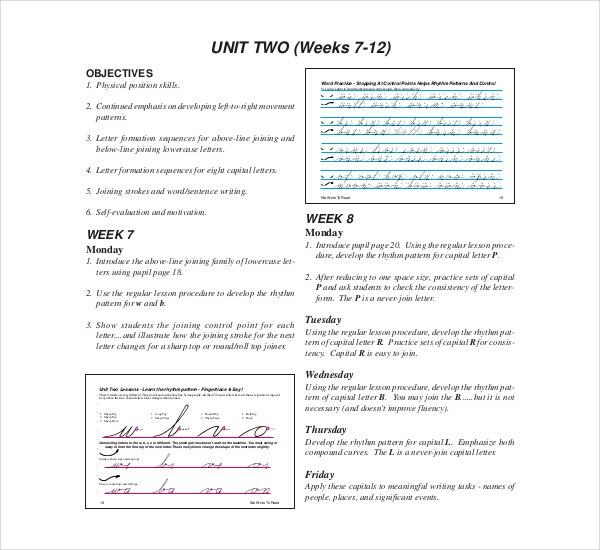 Cursive Writing Templates look beautiful and Unique- There is no doubt that. Prof cursive styles have their own unique identity and they can increase the beauty of document. Templates Designed for Cards- Cursive writing is widely used in birthday or innovation cards. Moreover, you can also use it on your company visiting card and website. 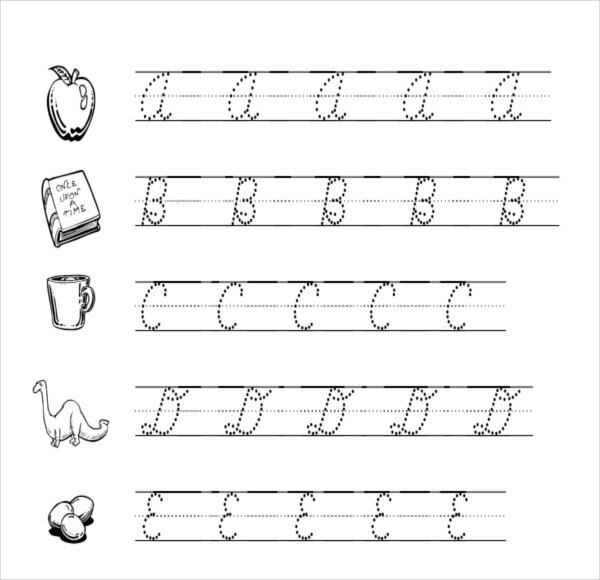 Boosts your creativity- You can showcase your imagination and creativity by designing eye-catching cursive writing templates which is good for the minds according to the researchers. You can also see Resume Writing Templates. 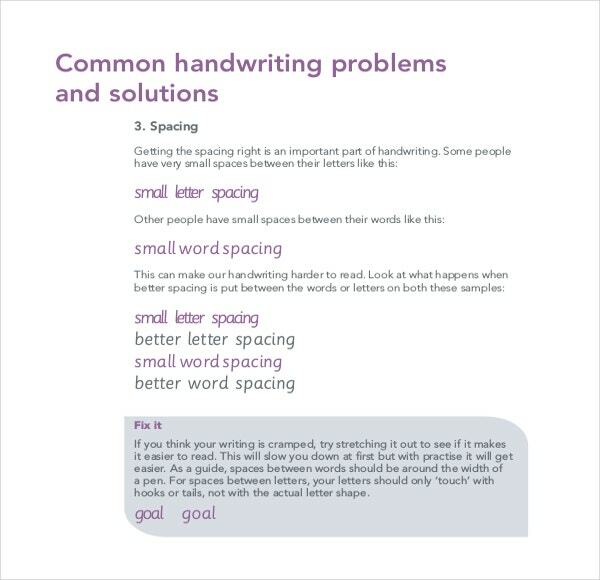 You can make a beautiful cursive design on computer with the help of available tools such as Perfect Cursive Technology and Powerful Worksheet options. You will have to learn how to use the tools effectively. Besides that, you can also check different samples on the internet to get an idea before designing one. 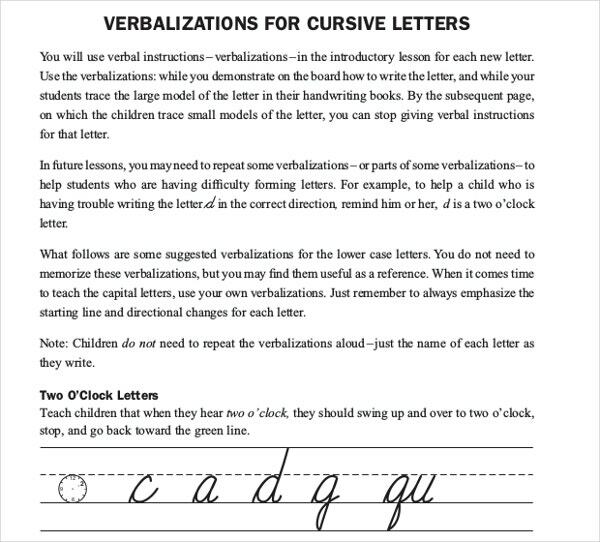 Designing Cursive Writing Templates can be fun as well as imparting a lesson. It helps their brain power and also assists to speed up their writing. So many schools have adopted it in their curriculum.